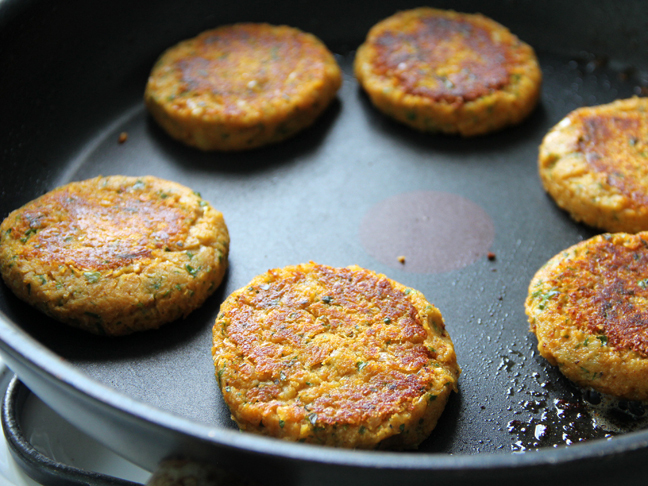 A few kitchen staples and a handful of herbs and spices are blended together to make deliciously wholesome Sweet Potato Chickpea Patties. 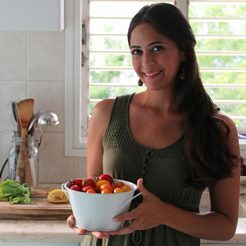 A perfect recipe for a Meatless Monday dinner or even a hearty on-the-go snack! 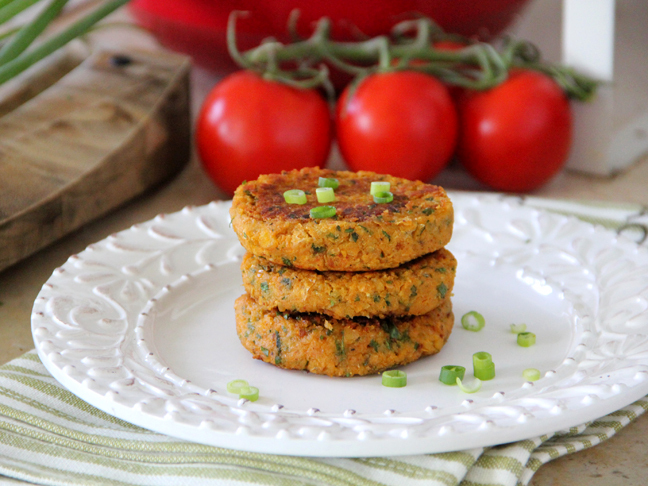 Sweet potato chickpea patties are the perfect addition or centerpiece in a wholesome meal. 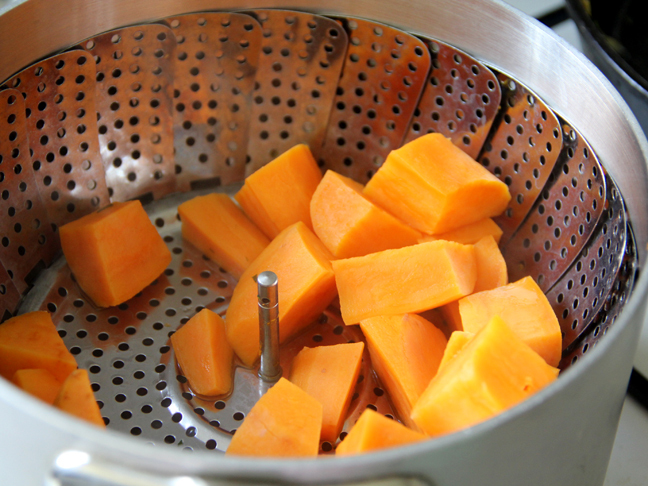 Step 1: Steam or boil sweet potatoes until tender. 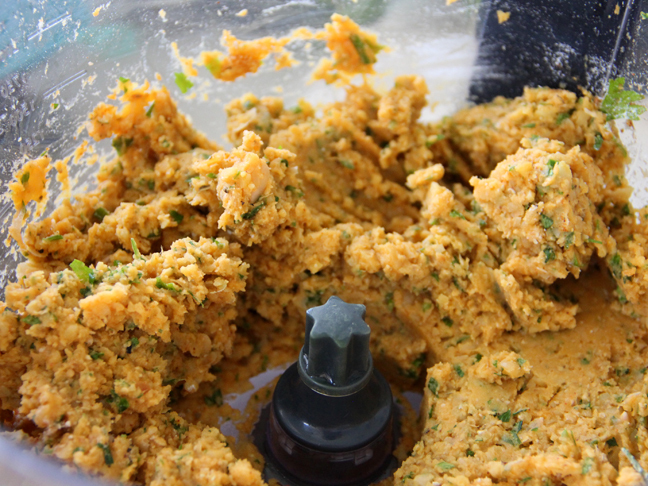 Step 2: While sweet potatoes are cooking add scallions and cilantro leaves to the food processor bowl and blend until finely chopped. 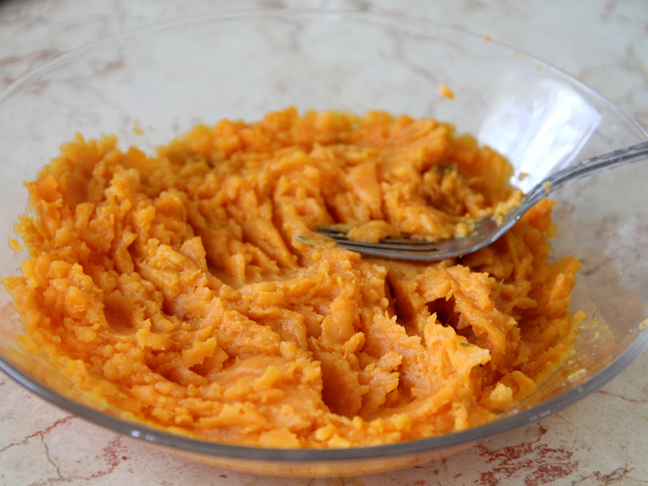 Step 3: Lightly mash sweet potatoes before adding them to the food processor bowl. 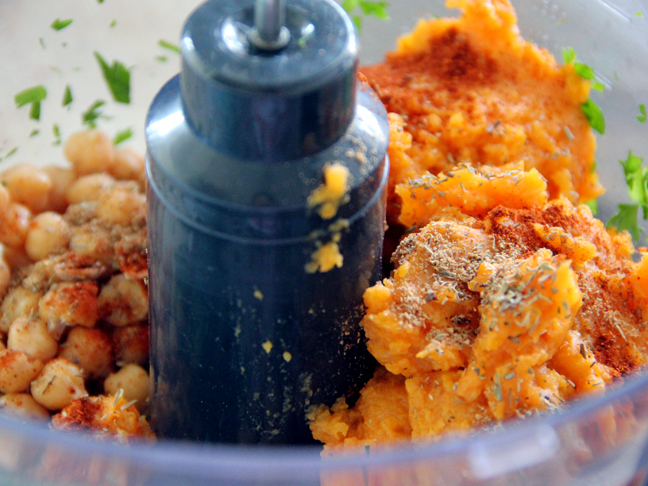 Step 4: Add mashed sweet potatoes, chickpeas, flour, oat bran, paprika, coriander, thyme, curry, and salt and pepper. Step 5: Blend until mixture is well incorporated. 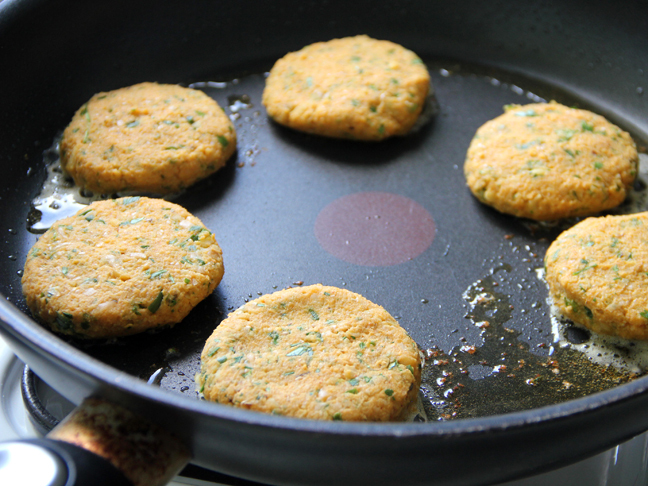 Step 6: Form patties, and fry on a lightly oiled non - stick skillet until golden brown (about 5 minutes). Flip and cook for another 5 minutes.